The Galilean expert on ancient burial caves, Eldad Keynan, recently discovered intriguing and unique findings that shed light on the early development of the Jewish Christians and on their distinctive beliefs. In the video below he shows that their burial rites are very educating on their early beliefs and on their gradual separation from Judaism. While tombs are silent, they tell us stories about their ancient inhabitants. An etching of a fish, the presence of a branched menorah at a surprising location and the way the bones were collected all reveal a chapter in the history of the first followers of Jesus. 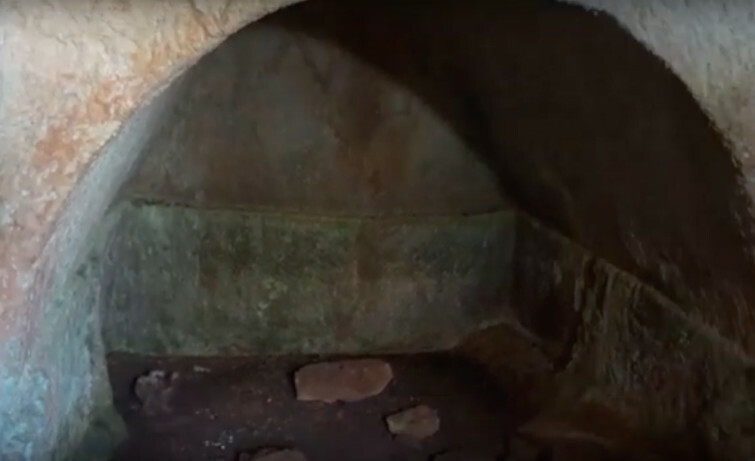 Keynan has meticulously researched Galilean tombs for over two decades and has learned that tombs are reliable witnesses to historical events and that we must learn to listen to their secrets.